The mindbenderent.com experience focuses on a rich blogging experience. 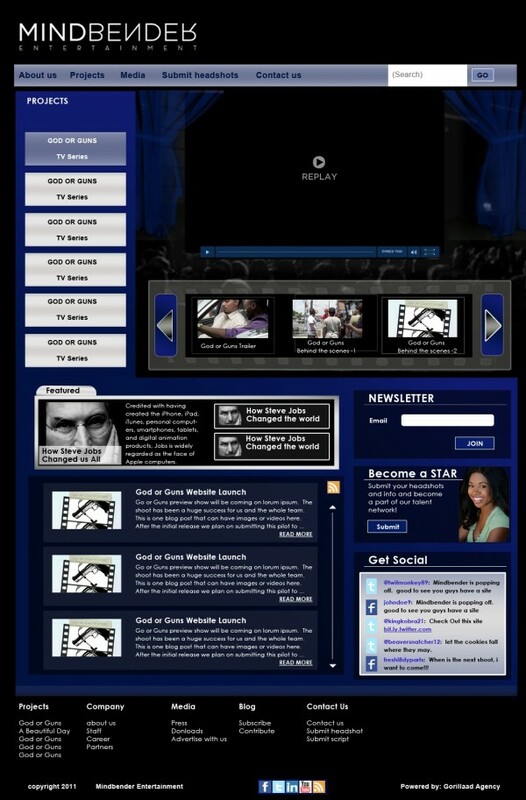 Additional lead generation was added for scripts, and headshots. Built on PHP, Mind Bender is quickly becoming a great resource for independent urban artists to introduce them selves and even maybe get a career. 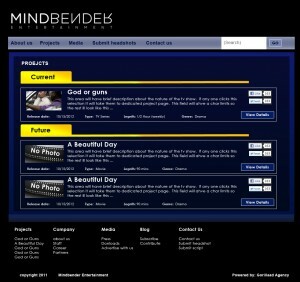 The mindbender site was created to allow for crowd-sourcing funds for new projects. Each profile was connected with its kickstarter counterpart.